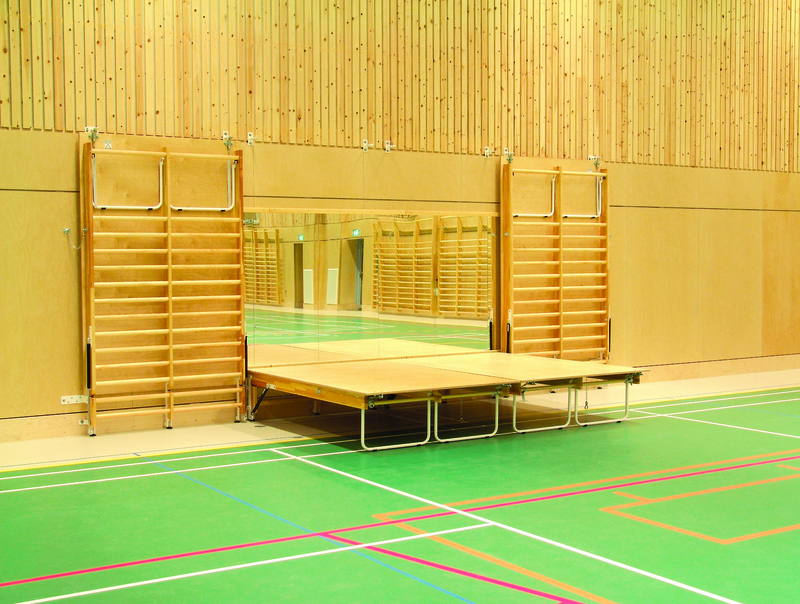 With our pull-down stages, you can maximise the potential of your spaces - dining halls, classrooms, sports halls, etc. Fast and easy to handle, taking up minimal space when folded and secured with a double lock for maximum safety. The front consists of Wall Bars, with the back / stage floor constructed from varnished plywood. All steel details are painted white. Modular system, allowing a solution to suit your requirements and budget. Can be combined with our mirror panels for a truly versatile solution.